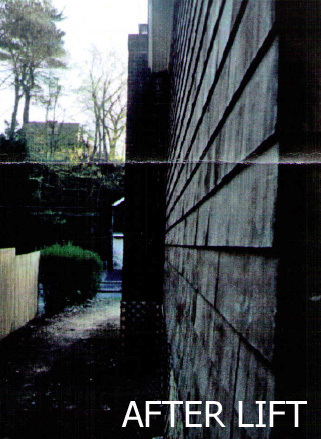 PROBLEM: This home had experienced foundation settlement along an exterior wall. The chimney was out of plumb approximately 1/2″ per 1′ or 11″ over 24′. 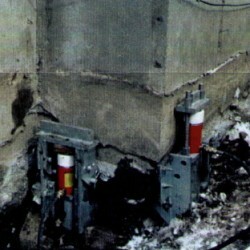 SOLUTION: A total of ten Atlas Resistance Piers were installed. Four of the piers were installed at the chimney foundation and the chimney was rotated/lifted in two directions to bring it back into plumb. RESULT: Settlement at the chimney location was stopped and reversed. 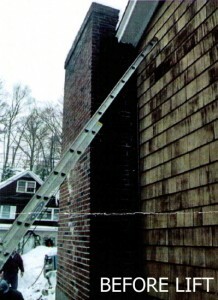 The chimney was brought back to within 2″ in 24′ height (was originally out 11″). 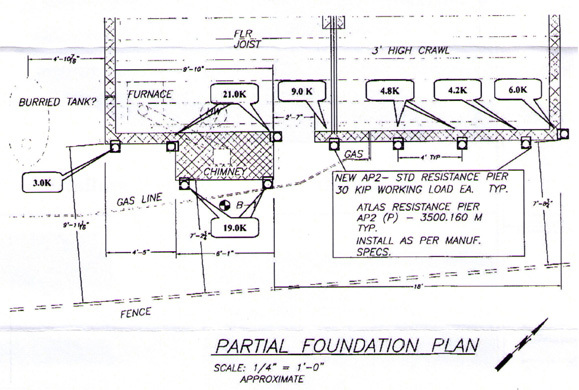 Any further settlement along the foundation wall was stopped.